Our Account Manager dashboard gets a facelift — and more! This UI is also friendlier for iPhones, which will now be able to start meetings and participate in meetings (if you have our iPhone app), as well as dial directly into your conference call with just one click. We really hope you like these improvements, and if you have any questions please don’t hesitate to contact us at http://support.anymeeting.com. HUNTINGTON BEACH, CA–(Marketwired – Mar 5, 2014) – AnyMeeting (http://anymeeting.com), developer of web and video conferencing tools specifically designed and priced for small business, announced today that AnyMeeting for iPhone is available free, for immediate download on the Apple iTunes App Store. The AnyMeeting iPhone release follows the recent launch of AnyMeeting iPad and Android tablet apps, which have already been downloaded more than 50,000 times. AnyMeeting customers and large distribution partners are now tapping into AnyMeeting all-in-one Web and video conferencing platform for its powerful and simple mobile capabilities, in addition to the ease-of-use and affordability it has always offered. With this release, AnyMeeting iPhone introduces a new push-to-talk conferencing model, designed to eliminate background noise, echoes and other problems commonly associated with conference calls. AnyMeeting is designed to make conferencing more effective and efficient for business people on the go. AnyMeeting is an easy-to-use, full-featured Web conferencing and webinar software platform designed to meet all the conferencing needs of small business, with 6-way video conferencing, phone conferencing, screen sharing, presentation sharing, meeting notes, recording and now available on iPhone. 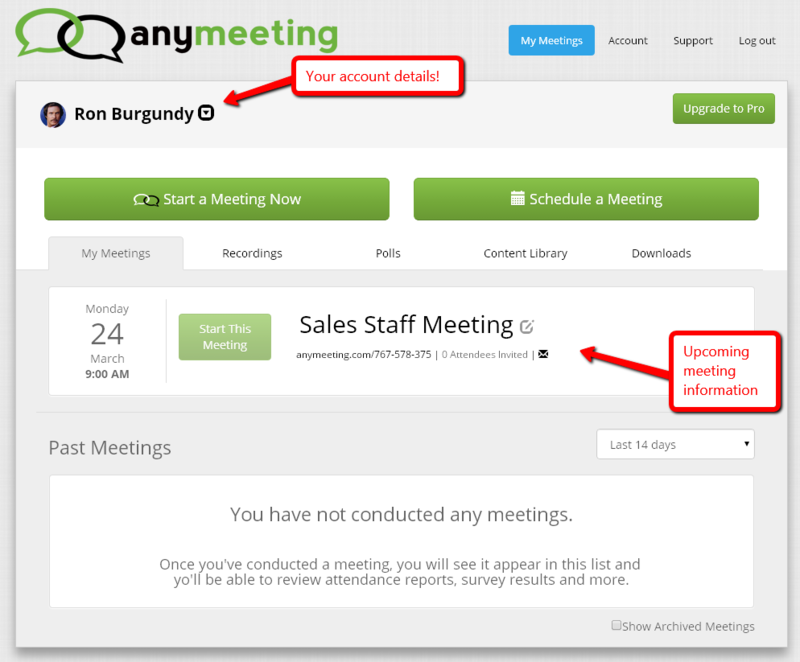 AnyMeeting for Android phone is expected to be available in early Spring, 2014. For more information, please visit www.AnyMeeting.com.